It is a good idea from time to time to search out some new baseball coaching drills. Everyone gets bored doing the same baseball drills over and over. And on this website there are dozens of great drills for your practice. A really good baseball drill involves lots of players, has some action and uses hitting and fielding. The drill listed below provides all of these points. So check out the drill we have listed below and once you finish reading about it, check out some of the other articles we have on baseball coaching drills. The complete list of team practice drills is listed after this article. 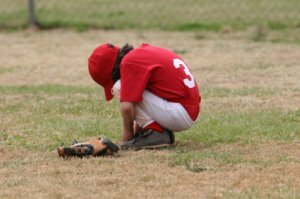 Do some of your players drive you nuts by not hustling out of the batter’s box? Are there times when an opposing outfielder bobbles a hit and if the runner would have been hustling he could have made it to second? Then this drill is for your team. It will get your players into the habit of running fast right out of the box. And maybe just the opposite is true for your team. Do your outfielders take a lackadaisical attitude about getting a hit back to the infield? And then the other team’s hitter hustles out of the box and turns a single into a double. That should make you mad and embarrassed. Well, use this drill to correct those problems. Here how it goes. You have all three outfielders in this drill, a shortstop and a second baseman. Someone, probably a coach or dad, pitches batting practice at a hittable speed. You are going to get some hitting practice in along with some fielding practice, and some hustle practice. Have you tried hustling practice before? Well, with this drill it works. The batter hits the pitch and should come flying out of the box. You see, he has to try for a double. There are no singles in this game. Every hit is a double or an out. If he stops at first he is out. He has got to get out of the box and make the turn to go to second. No need for a first base coach. Make it to second or you are out. So the batter also knows he better get it out of the infield. Oh, I almost forgot. There is no bunting. Even though the batting practice coach could probably throw the runner out at second with ease, this drill is about the batter versus the outfielders. So, no bunting allowed. That being said, the batter needs to hit the ball out of the infield. This is also a good baseball coaching drill for making batters try to hit the ball farther and in the gaps. Now let’s move on to the defensive players. 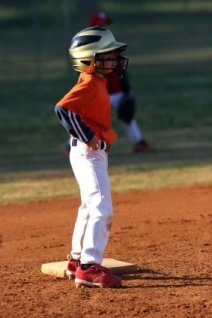 And just remember, baseball coaching drills that involve lots of players help to keep practice lively and fun. The spot light is now on the outfielders. They are going to be hustling to get the baseball back to the infield like you have never seen. Your team may also get to work on their relay throws. 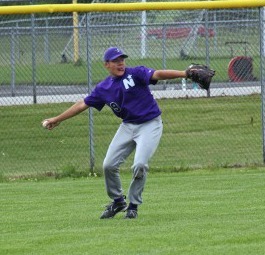 That’s why there is a shortstop and second baseman. One covers the bag at second and the other needs to go out for relay throws. Of course any balls hit to the left side the shortstop goes out for the relay throw and the right side the second baseman goes out. The two of them need to work out a plan for balls up the middle that might need a relay throw. So the batter is coming out of the box like gangbusters and the outfielders know it. The race is on. If you happen to have ten or so players you could split up into two teams and play a game from this. Any runner safe at second is a run. Three outs and change sides. The boys will love adding a little competition to the drill. Hope this drills improves your base running and outfield play.